The most exclusive, rare & hard-to-find content, courses and audios you will not find anywhere else. No more buying paper books just to find out you don't really want/need it. Economical solution with thousands of materials for you to access instantly! No waiting, no queue, no hassle! Support provides 24-hour helpdesk all year round when you need it. All materials available at our library has been thoroughly scanned, properly secured and guaranteed to be free of any malicious scripts! With our 30 Days No Question Asked: A 100% Money Back Guarantee be assured you really have nothing to lose! YOU LOVE IT, or your money back!
" I have to start by congratulating you on an outstanding website. Thank you for such a wonderful service! " " The distinctions in this library it provides powerful resource for people to create the life that they have always desired. Instead of waiting for life to happen. It is certainly not the only resource site on occult and magick out there, but I especially like this one because it it is very well presented, files are easy and fast to download and because it works." " I'm new to this awesome site but the info contained in it is awesome. HIGHLY RECOMMENDED! 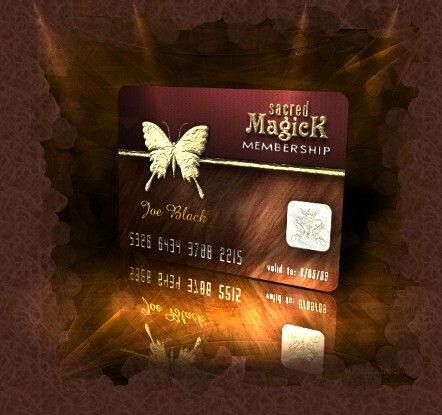 The forum is top class .... "
" I love the Sacred Magick when I need to take my reading on the go!" " I have been a subscriber for many years now. As my practice has grown and life has become busier, I have found it to be an invaluable service for keeping up to date on my studies. Thanks for all your efforts." " This is a great resource to get your first ritual and spiritual journey started. It helps me set goals, develop a plan for my practice dan study inside-and-out. " " Being a solitary practitioner and Amazon book buyer for years, I've spent thousands of dollars on occult books before finding your site. The books I've bought piled up at my garage consuming spaces I can use for something else. Becoming a member immediately changed that. " " Really enjoy the work and effort you put into this site and hope you will continue! I like the fact that I can read and look at my ebooks on my own time and in the quiet of my home. " " I am very impressed with your site. I wish that I had found it a lot sooner. There are so many books on here that I am interested in. It is a smorgasbord of information. And your free downloads are really interesting as well. I can't wait to tear into that 1800 page ebook on Human Development! And I remember in the summer of 1994 when I was on summer vacation from school seeing PBS rerun Ring of Fire. I watched every episode and was sad when it ended. The guy who started a fire with his own energy always intrigued me and I was surprised to see that there was a book written on him and there it was available for free download! I am so happy that you have put together a wonderful site with all sorts of books on it. " " The quality of the knowledge that I have picked up and has been shared is above and beyond my imagination. It gives me resources and answers that will allow me to achieve all of my goals. "